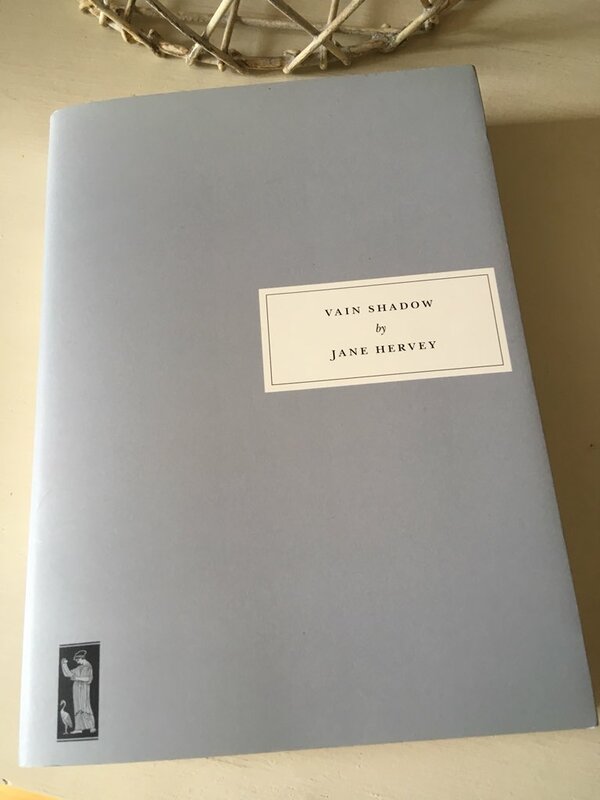 The British writer Jane Hervey wrote the bulk of Vain Shadow – a sharply-observed portrait of a wealthy English family at a time of mourning – in the early fifties. The draft novel then lay in a drawer for ten years before being polished up by Jane and submitted to Gollancz for publication – the book itself came out in 1963. Now it is available again for a whole new generation of readers to enjoy courtesy of this Persephone edition published in 2015. The narrative arc is a relatively straightforward one – that said, it is not without its small moments of drama. In essence, the Winthorpes gather together at their Derbyshire country estate following the death of the Colonel – the head of the family – from an unspecified but not unexpected illness. Over the four days that follow, members of this family work through the ramifications of the Colonel’s passing, make arrangements for his funeral and debate the contents of his will. Hervey maps out her story in four clearly delineated sections, each one covering a particular day and the events contained therein. Right from the start, Colonel Winthorpe is painted as a tyrant, a man who made the life of his wife a terrible misery, having barked at her, glared at her and grumbled to her for over fifty years. Mrs Winthrope’s first thought on being informed of the death of her husband is one of relief – relief at no longer having to kiss him goodnight at the end of each day. Perhaps now she can have that longed-for peach bathroom, something her husband would never have agreed to if he were still alive. Also joining the family gathering are the Winthorpes’ three middle-aged sons, Jack, Harry and Brian, together with the Colonel’s adult granddaughter, Joanna, who was brought up by the Winthorpes following the early death of her mother. Hervey really excels at capturing the dynamics and tensions – both spoken and unspoken – between the various members of this family, particularly the three brothers, Jack, Harry and Brian. Jack, the eldest of the three, is married to a much younger woman, a rather spirited actress by the name of Laurine. In spite of her efforts to fit in with the Winthorpe family, Laurine had not won the Colonel’s approval, certainly by the time of her wedding – a factor which now leaves Jack wondering whether his father might have cut him out of the final version of his will. While Jack is conscious of his position as the Colonel’s eldest son (and therefore the one who ought to be in control of the funeral arrangements), it is Harry, the punctilious middle child, who appears to be running the show. As the only unmarried son, Harry has lived at the family home for the duration of his life, managing the Winthorpe estate for his father, particularly so in recent years. Brian, the brightest and most perceptive of the three brothers, is somewhat frustrated by Harry’s exacting ways – so much so that this creates further pressure at what is already a stressful time. On the night that subsequently turned out to be the Colonel’s last, Mrs Winthorpe, Jack and Harry had decided not to stay by the old man’s side as he lay in bed. (Brian and Joanna were in their own homes at the time, therefore not present at the estate.) When they gather together over breakfast the next day, all three are keen to justify their decision, both internally to themselves and externally to others. In this scene, Jack is talking to the Colonel’s nurse, the only person who was with the old man at the moment of his death. Harry looked up sharply. There it was again – just like Mother – what was the use of agreeing not to sit up if they were all going to start feeling guilty about it now? While most families would mourn the death of their patriarch, there is little in the way of expressions of grief or sadness here. In fact, the only people who seem to show any respect for the Colonel are the housekeeper, Upjohn, and the other members of staff employed by the estate – it is they who appear to know what is required of them at this time. One of the things Hervey does very effectively in this novel is to move seamlessly between each character’s spoken words and their own private thoughts. In several instances, these two things are the direct opposites of one another, such that virtually every member of the immediate family seems to be thinking something entirely different to what they are saying. It all makes for quite an amusing read, even though a man’s death is central to the story. There is humour too in many of the details Hervey includes to flesh out her characters, illustrating as she does so the petty grievances and resentments simmering away between various members of the family. Harry’s insistence on the fact that his eggs must be boiled for exactly four minutes, no more and no less; Laurine’s desire to wear an ostentatious diamond brooch to the funeral, possibly on her dress or maybe on her hat; the way some individuals secretly covet particular items from the Colonel’s personal collection of trinkets as they go through the process of divvying them up. There are many more. In this scene, Jack’s frustration at his mother’s concerns about the funeral flowers threatens to boil over as they make their way out the dining room – Mrs Winthorpe is the first to speak. Alongside the Colonel and Mrs Winthorpe, there is another deeply troubled marriage at the heart of this novel, that between Joanna and her devious husband, Tony. The personification of charm on the outside, Tony is at heart a cruel and self-centred man, forever bullying and admonishing Joanna in private while publicly feigning to be nothing but sweetness and light. For two years, Joanna has been subjected to a litany of complaints from Tony, from the way in which she manages their home to her desire for a little independence now and again. Their relationship has been stifled by Tony’s displays of disappointment and resentment. Virtually all the Winthorpes have been taken in by Tony’s charisma and public performance – only Brian, and possibly Colonel Winthorpe himself, have not been entirely fooled. Colonel Winthorpe’s death marks a definite turning point for Joanna. While it may be too late for Mrs Winthorpe to break free from the spectre of her husband’s tyranny, for Joanna the situation is very different. She is young enough and strong enough to move forward – to carve out a new life for herself in a relationship built on love. I really enjoyed Vain Shadow as a darkly comic insight into dysfunctional family dynamics at a time of heightened stress – there is much jostling for position and saving face going on here. As a novel, it also has some interesting things to say about ways in which women’s lives were often controlled by the men of the family back in the 1950s – the bullying husbands and disapproving elders seeking to put women in their place and restrict their enjoyment of life. Even Harry tries to interfere in Joanna’s future fearing a potential scandal if her marriage to Tony breaks up. In some ways, Vain Shadow reminded me of Janet McNeill’s Tea at Four O’ Clock, another novel where the recently deceased makes their presence felt on the remaining members of the family. Both of these novels are very, very good, if a little claustrophobic at times – deliberately so, I think. This entry was posted in Book Reviews, Hervey Jane and tagged #ReadWomen, Book Review, Classics Club, Fiction, Jane Hervey, Persephone Books, UK on August 14, 2018 by JacquiWine. Not a name I was familiar with, but sounds intriguing. So many plots exploit the rich potential of family dynamics after the death of a key member. Your summary reminded me of one I read recently in that vein: Vita Sackville-West’s All Passion Spent. In that novel a woman who’d been long married to a dominant, not entirely loving husband, feels liberated on his death – her behaviour horrifies her narrow-minded grown-up children. VSW largely plays up the humour; this one sounds more serious – in a good way. I’m pretty sure this was her only novel, which is a shame as she was clearly someone who could write about family dynamics with a good degree of assurance and insight. The link to her biography on the Persephone website indicates that some of the characters may have been based on Hervey’s own relatives, an assumption that caused considerable animosity within the family for a number of years. You’re right, it’s definitely fertile ground for fiction, this sense of release and liberation that can come after the death of a dominant family member. That’s very much the case in Janet McNeill’s Tea at Four o’ Clock in which a spinster approaching middle age is freed following the demise of a tyrannical older sister, one who had previously maintained a hold over this woman for most of her adult life. I really ought to try again with Vita Sackville-West as I’ve had a bit of a false start with her in the past. The name of the novel escapes me now, but it wasn’t All Passion Spent. I like the sound of your description of APS, especially the elements of humour. The Hervey is rather funny at times too – a dry/black style of humour, but it’s definitely there. Might have been The Edwardians (I posted on this and APS recently) – which is great fun, if a little frothy; APS has a more serious tone and theme. Now you’ve hit me with another name to explore – Janet McNeill. When will it end?! I’ve just checked my shelves. It was No Signposts in the Sea, an old Virago I’d picked up in a secondhand bookshop some time ago. Possibly not the best one to try given that some of her others are better known. I’ll take a look at your review of All Passion Spent as it definitely sounds more promising. I’m pretty sure I picked up a copy of Signposts in a charity shop recently. Thanks for looking up my post on APS. And for the concern for my TBR pile. Just had a recommendation of an 800-page Basque novel that sounds terrific. But 800 pp! Oh my goodness – 800 pages would be too much for me! At least Signposts is very slim, if I recall correctly. Lovely review. I thought this was an exceptionally good novel. So sharply observed and the dynamics of a broken family are so well portrayed. It’s good, isn’t it? Am I right in thinking that this was Hervey’s only novel? A shame if that’s the case, as there could have been the potential for more. Very thorough review! It’s been on my to-read list and I will buy it eventually. There’s actually quite a lot to it, which makes it an interesting read. I hope you get a chance to read it one day. Check out the book, Vain Shadow, by Jane Hervey, as featured in this post from Jacqui Wine’s blog. Many thanks for the share Don Massenzio, much appreciated. Yes, they’re often a source of significant tension, especially if there are sensitivities over the deceased’s will and estate. In some ways, it feels like quite an old-fashioned novel, almost as if it could have been set (or ever written) in the 1930s — but then the elements about the status of women indicate that attitudes were starting to change, albeit very slowly in some quarters. Maybe I just read Signposts at the wrong time, it’s hard to tell. I guess we can’t expect to click with every book we read, however good it happens to be! I just love anything that Persephone publishes. I was fortunate to visit their shop last spring. What a quaint little place! They’re pretty reliable, aren’t they? Even though I’ve only read a handful of their books, they’ve all been excellent and worthy of rediscovery. And the shop is quite the treasure, isn’t it? A very British institution in more ways than one. Hooray! I think there’s a good chance that you’ll enjoy this one, Juliana. There’s more humour here than in Tea at Four O’Clock, a quality that balances out some of the darker, more poignant scenes in the book. It’s very Persephone, especially given the bits on the status of women relative to men in this family hierarchy. I liked it a lot. She’s not a writer I’m familiar with but your review gave me a good idea of her style. I’m sure I’d like it too. There’s an other famous author whose characters’ thoughts always clash with what they are saying. It’s not Elizabeth Taylor though, is it? I haven’t read her either. I was actually thinking if it wasn’t Jane Austen. You know, it’s more than thirty years since I read Austen, back in the days of my youth! It’s funny you should say that because Simon (Tredynas Days) made the same comparison above. I really ought to try again with Vita Sackville-West as I haven’t given her a proper try – only No Signposts in the Sea which didn’t do a lot for me. Maybe All Passion Spent would be the one to try. Anyway, I think you’d like Vain Shadow. It’s absorbing and well-written, and the black humour gives it a lift every now and again just when you need it to. The dynamics of a dysfunctional family are beautifully done. This sounds very good. I was once at a wake and a funeral where folks were relieved that the deceased was gone as a result of his reprehensible behavior. It was an interesting experience and I sensed all sorts of underlying things going on. Thus. In a lot of ways this sounds realistic.